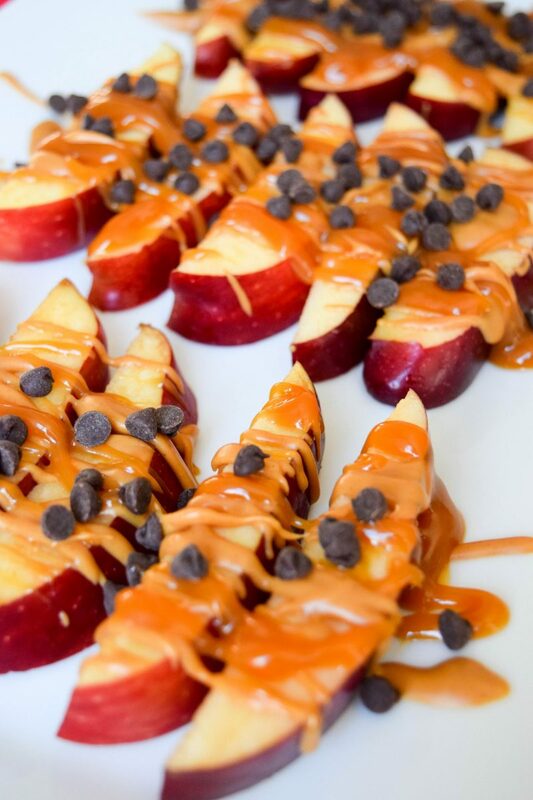 Sliced apples drizzled in caramel and peanut butter then topped with chocolate chips for a sweet Fall treat. We give a lot of love to pumpkin spice season this time of year, but what about apple season, guys? I’m clearly a huge apple fan (two back to back apple recipes with Friday’s cocktail post) so I’m setting out to make it my mission that we don’t forget about these yummy fruits during fall. Based on my Instagram and Facebook feed a whole bunch of us go apple picking in the fall (#guilty as charged- exhibit A here). Once you get home with all those lovely apples, how do you use them? 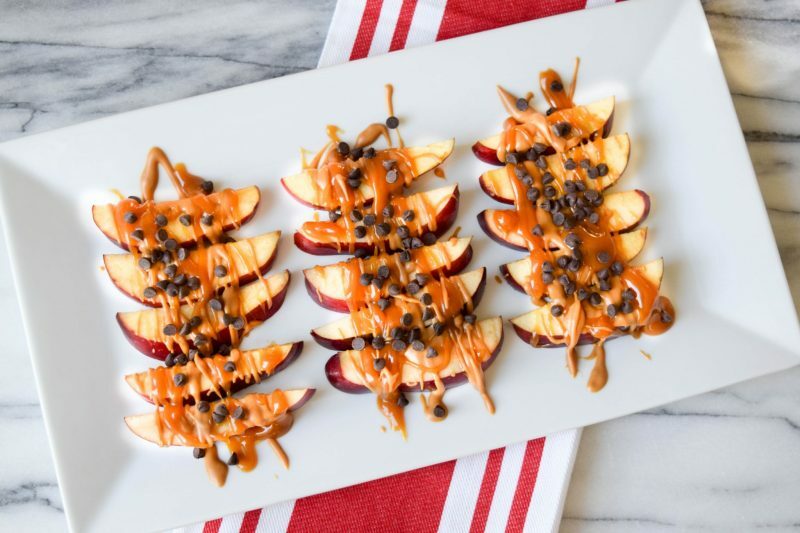 There’s the obvious ways like apple pie and apple crisp, but it’s fun to try something new too which is what inspired these apple nachos. I absolutely love dipping apples in peanut butter. I also love caramel apples. I had never really considered combining the two before, but why not? I mean two good things is an even better thing, right? 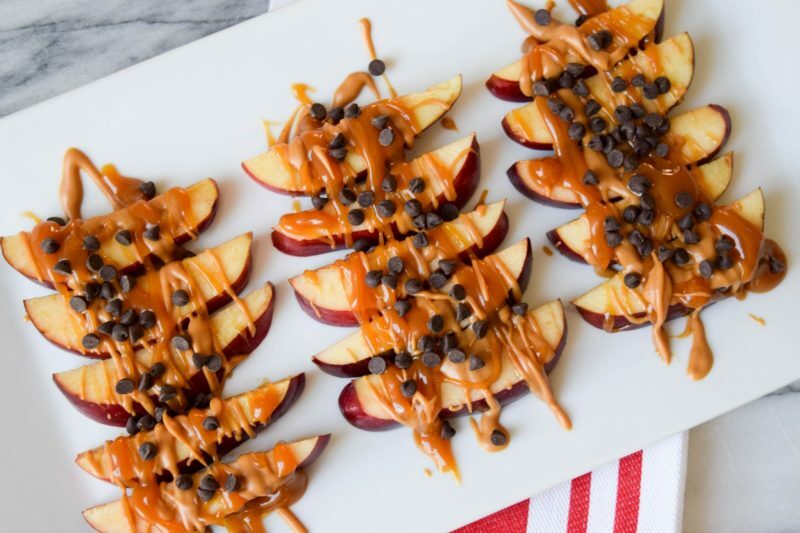 Add a little chocolate and the Apple Nachos are born. 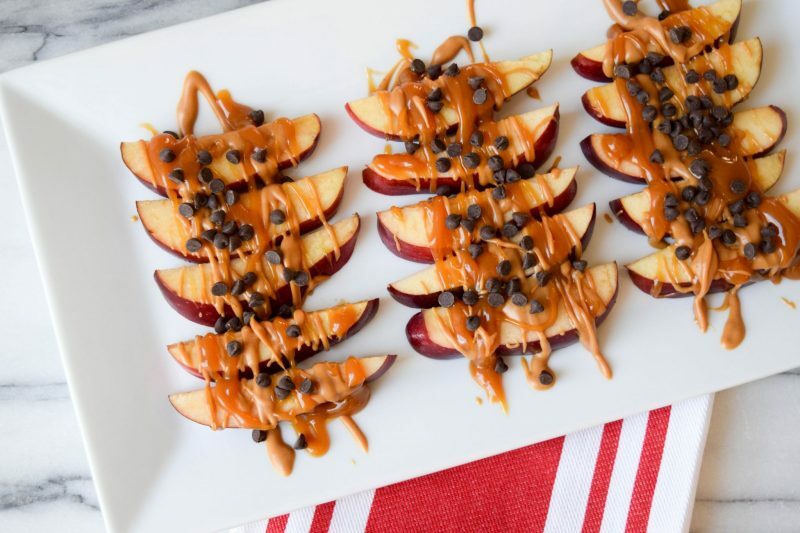 Perfect for sharing (or not), this is a delish way to enjoy some of your hard earned apples! Did you go apple picking this fall? What’s your favorite way to enjoy your apples? Wash apples and slice into wedges, trying to slice at similar thicknesses. Arrange apples on plate or platter. In a small ramekin, combine peanut butter and agave. Microwave for about 20-30 seconds until peanut butter is a bit melted. Using a fork, generously drizzle peanut butter over apples. 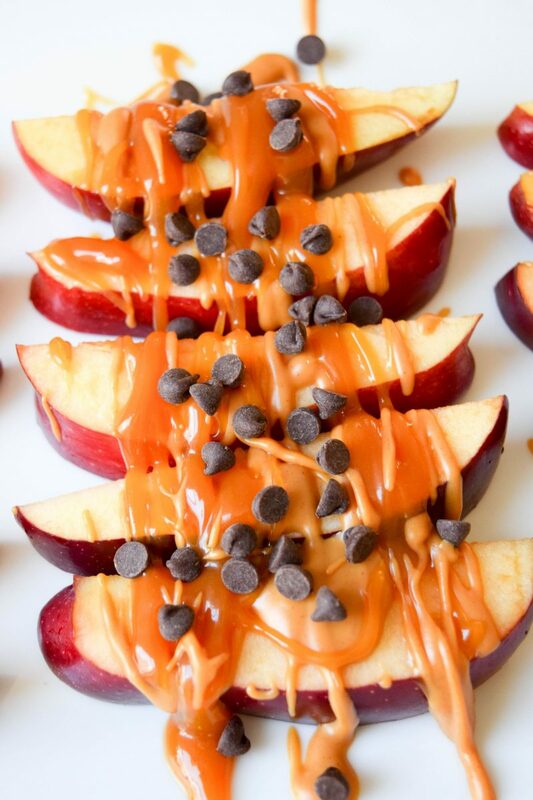 Drizzle apples with caramel generously with a fork. Sprinkle mini chocolate chips over the peanut butter and caramel to stick.